Ahoy hoy! (sorry had to say it…) We love when we get to see our roundies featured in beautiful photo shoots alongside gorgeous talents & wares… but we especially-extra-love it when its by the likes of our pal Jai Vasicek aka AHOY TRADER Byron Bay.. 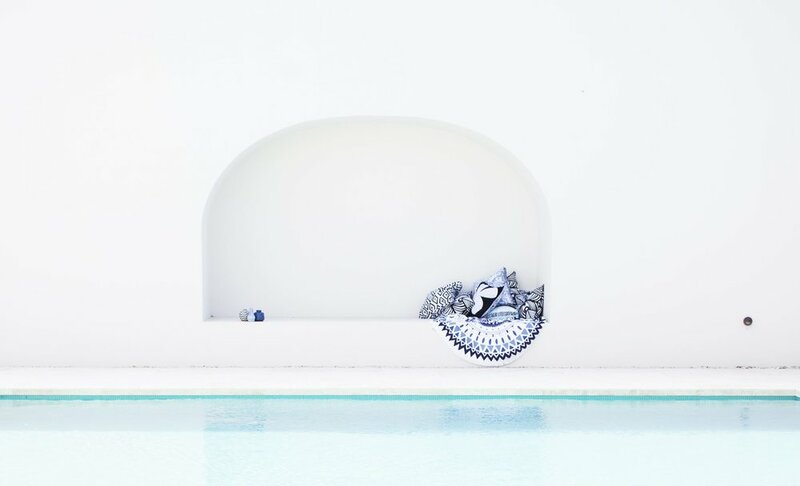 Featuring their very own range of cushions and styled perfectly with our blue hued Majorelle roundie, this shoot is puuuuuure bliss..
Ahhhh so pretty, we just wanna lie by that pool all day! Thanks Jai & the Ahoy team, we love what you do!